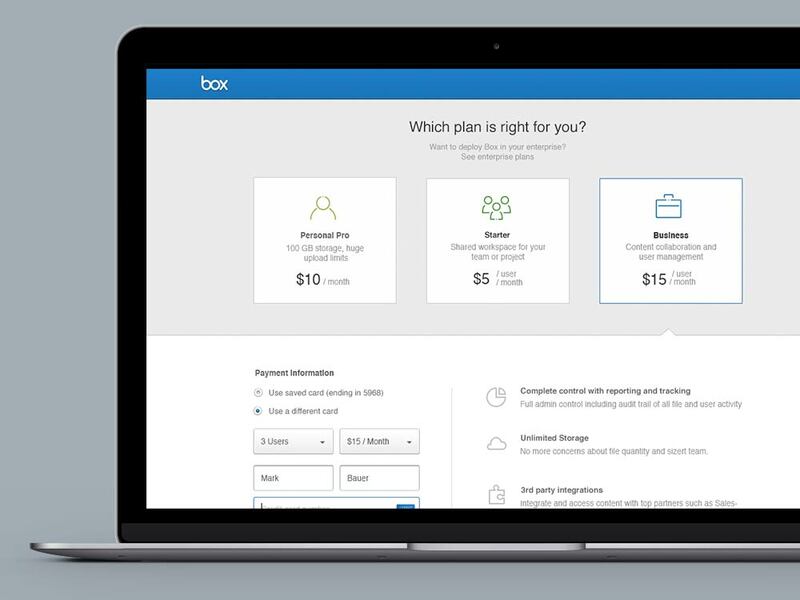 In 2012 I moved to the West Coast to work for Box, a rapidly-growing enterprise content management platform. I leared a great deal about product development processes and had the opportunity to work with an exceedingly talented team of Desginers and Engineers. 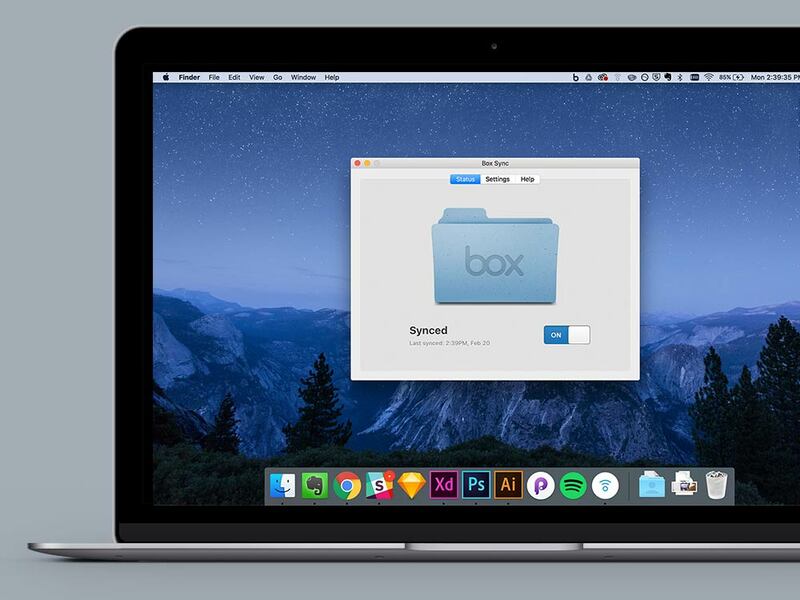 Box Sync is an application for Mac and Windows that enables users to sync files and folders between their computer and Box’s cloud platform. This project taught me how much work is required to ship a product that truly feels seamless and invisible. Although there is a minimal UI, most of the design effort here was spent making sure that the sycn client would “play nice” with all of the collaboration and customization features in the web application. We also took a great deal of care to either avoid edge cases or handle the ones we had gracefully. 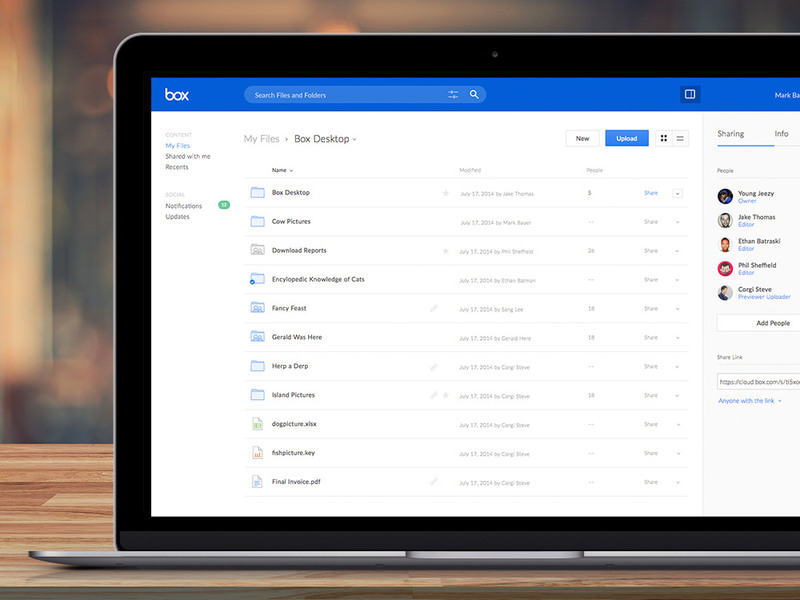 I worked on a variety of features across Box’s web application including security settings in the admin console, updates to the in-app notification experience, and a redesign of the header. My favorite project, however, was designing collaboration features for the file preview interface. One of the more unique things about Box’s platform was it’s ability to render in-browser previews for over 100 file types including videos, 3D models, and Adobe CS files. In this view users could interact with their content by sharing it, commenting on it, tracking version history, or performing any of the standard file management tasks that you would expect a desktop file system to do. The goal of this project was to increase conversions from free to paid plans. The team that I was working with learned that users were dropping out of our conversion funnel at a higher rate than other comparable products. Only about .5% of users who clicked on the “Upgrade” button in our app converted to a paid plan. Our goal was to increase that to 2%. This project was especially fun for me because our goals were directly measurable and the team could really rally behind them. We did multiple rounds of AB tests and refined the designs based on our learnings. In the end we were able to greatly surpass our original goal and increased the conversion percentage to about 4%.